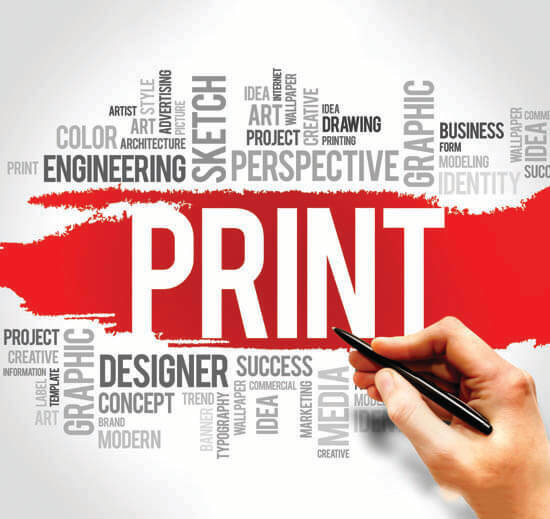 Our digital print and graphic design capabilities ensures that physical marketing materials can be produced, delivered and in use within days. In some cases the same day. When we opened our doors in 2001 our competition said we were crazy to invest in digital printing technology, but we did our homework and found out that your marketing needs will be changing at a much quicker pace than in the past. Gone are the days when you could print a two year supply of any given marketing piece and hope it won’t change before you throw it into the recycle bin. Since then we’ve provided hundreds of happy clients with quick around, high quality professionally printed marketing collateral’s such as business cards, post cards, brochures, booklets, trade show graphics and many other personalized marketing assets to help meet deadlines.